Debbie Gaddie relocated circuitously to Salt Lake City from San Francisco, by way of New York City. Drawn to the outdoor and friendly, easeful way of life, she has never looked back, calling Salt Lake City home for more than 35 years. She holds a B.S. degree from Santa Clara University and M.S.degree from the University of Utah. Debbie began her real estate career with Plumb and Company Real Estate and takes great pride in her knowledge of, and love for the various Salt Lake City neighborhoods and architectural styles. With over 25 years of experience in sales & marketing, Debbie understands the level of professionalism & commitment necessary to help her clients achieve their real estate goals. Unwavering customized service is her top priority; the cornerstone of her success. Not only does she bring an unmatched level of knowledge & negotiating expertise to her real estate business, Debbie is dedicated to you, her client, to act as advisor & advocate and to do so with the highest level of integrity & enthusiasm. 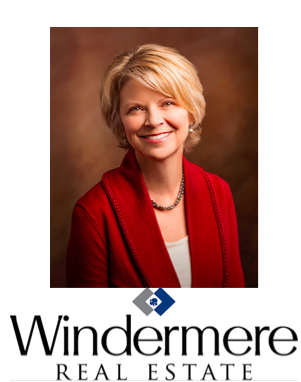 Working with Windermere Real Estate, one of the most highly regarded, premier real estate brokerage firms in Salt Lake City, Debbie has access to a vast network of industry vendors and contractors, a vital and often over-looked component to ensuring the most stress free transaction possible. Outside of Real Estate Debbie enjoys travel, both international & domestic. She is a devoted animal lover and is passionate about time spent in the outdoors, appreciating the easy access to so many extraordinary activities the State of Utah has to offer. Nordic skiing, hiking and cycling are a few of her favorites. Specializing in East side, Wasatch Front neighborhoods from Capitol Hill to the Cottonwood Canyons, with particular emphasis in the Avenues & Capitol Hill, University area, Harvard/Yale, Sugarhouse, 9th and 9th, 15th and 15th, St. Mary’s, Millcreek, Olympus Cove, Holladay, Cottonwood Heights. Many other references available upon request. This entry was posted in Real Estate Agents on November 11, 2011 by Anna.